This book provides an overview of essential oils in its first section, describing the main genera of plants used for essential oil production and explaining their genetic polymorphisms that might have an impact on the biosynthesis of these phytochemicals. Also, this book reviews the most relevant background on traditional and emerging extractive technologies, as well as the effect of post-harvest management practices for optimum extraction. In the second section of the book, the main applications of essential oils are described, related to their biological activities such as antioxidant, antimicrobial and anti-inflammatory properties. 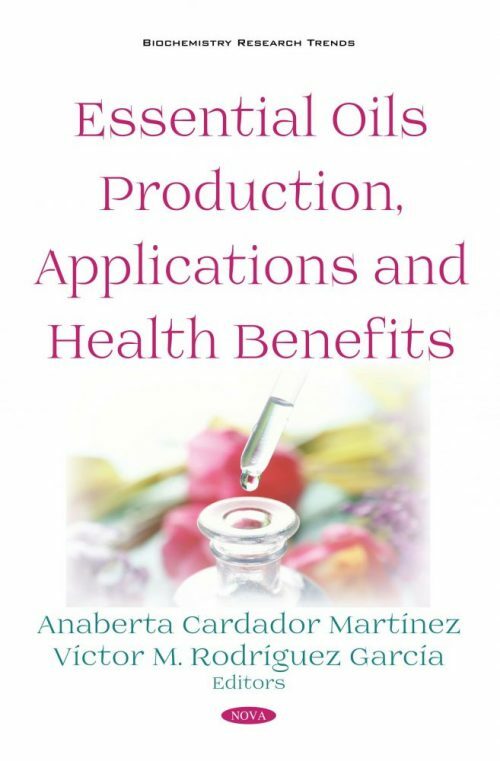 It also explains how these properties can be applied in the cosmetics, food, medicinal and agronomical fields. Specific applications of essential oils related to the skin, digestive, immune, respiratory and nervous systems, including some examples of essential oils and their applications are analyzed as well.